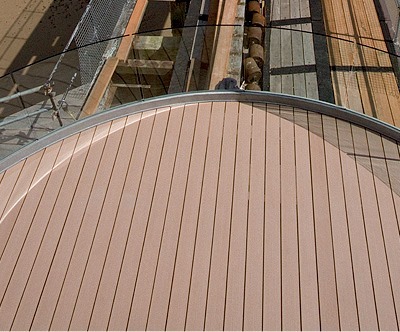 You can find TimberTech decking in all kinds of places across the UK, from children’s nurseries to the chicest of beachside bars, suburban gardens to seaside balconies. 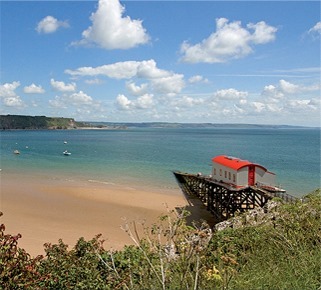 And now, TimberTech has been chosen for a very unusual renovation project - the iconic lifeboat station in Tenby, Wales, which featured on Channel 4’s Grand Designs programme. When the RNLI built a brand-new £3.5million lifeboat station in Tenby in 2005, it planned to demolish the adjacent original station, which is over 100 years old. But, due to the age of the building, historic environment agency CADW declined the demolition application. Instead, the lifeboat charity was faced with footing the bill for the renovation of this historic Welsh landmark. In stepped Cardiff businessman Tim O’Donovan, who bought Tenby Lifeboat Station from the RNLI. Tim, who runs Horan Engineering, has restored the famous red-roofed listed building into a four-bedroom holiday home for his family to use when they visit Tenby. With the help of local architecture firm Argent, Tenby Lifeboat Station has now been transformed into a light, open space with all the charm of the old lifeboat station and all the comforts of a modern family home. 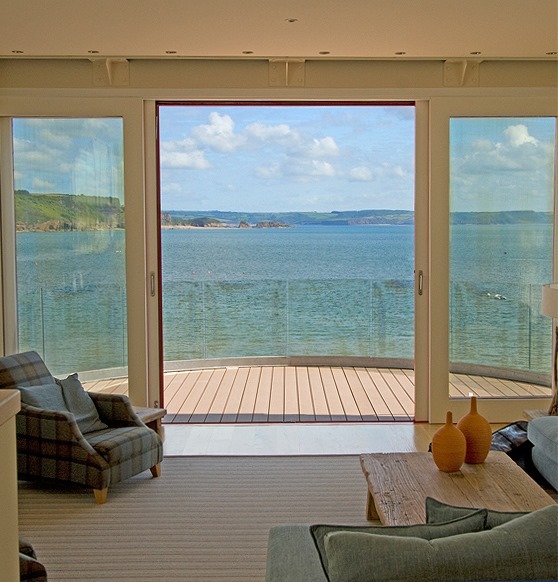 To make the most of the property’s stunning vistas and unique coastal location, an exclusive suspended balcony has been installed with infinite views over the harbour and beyond – decked with TimberTech’s VertiGrain 2 boards, which creates a streamlined look that perfectly befits the project’s design. 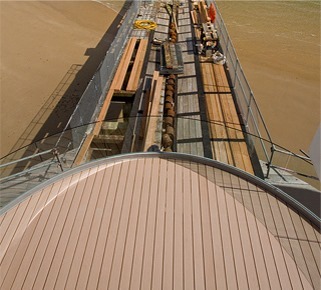 "We needed something durable, especially for a marine environment where conditions can be particularly unforgiving. 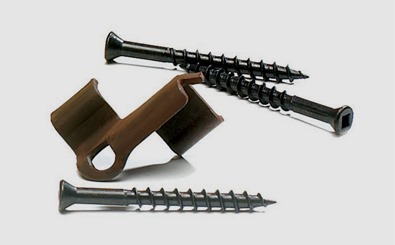 Normal wood decking would warp and become weather-worn in no time at all." TimberTech is the decking product of choice for waterside properties - customers from Salcombe to Salford Quays are choosing TimberTech for its durability, low maintenance and great looks. And it’s just as popular inland too – laying TimberTech can create a low-maintenance outdoor space which acts as an extension of your home. Made from a unique mix of wood and polymer, TimberTech looks just like traditional timber decking, but with virtually no maintenance - just regular sweeping and an occasional power wash will keep it looking as good as the day it was installed. It is also weather-resistant, so won’t stain, warp or fade like standard wood decking - TimberTech even offers a 10 year commercial warranty on all of its decking products. 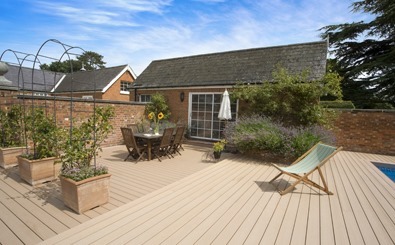 The decking is easy to install with a fixing-free finish, and is a greener option too - not only do you eliminate chemical wood preservers and staining products, the boards themselves are made from excess wood from the furniture industry, ensuring ecofriendly, long-lasting decking which doesn’t cost the earth. If you missed the full story of the Tenby Lifeboat Station renovation on Grand Designs please click here to watch the programme. And if you’d like to use TimberTech decking as part of your own project, click here to order a free sample, or call our sales team on 029 2080 3756 for a full consultation.